Marketing your online business has become increasingly complicated over the years as the internet continues to become saturated with new websites. Staying competitive requires a well-designed and executed online marketing plan. Perhaps the most important element of any marketing plan is diversity; implementing multiple strategies at the same time. The most effective online strategies today include search engine optimization, and paid search engine advertising as part of the broader search engine marketing mix. When executed, in conjunction, these strategies offer the greatest return on your website marketing investment. Response builders utilizes a 5 step pay per click advertising campaign process that incorporates proven techniques to help you to improve your click through (CTR) and conversion rate. The most common type of paid search engine advertising is pay-per-click (PPC). Pay-per-click ads, also known as sponsored links in many engines, are located either near the top or to the right on search engine results pages. With PPC, the web site owner (advertiser) bids on keyword phrases and then pays the search engine when a user clicks on their link as a result of searching with a particular keyword phrase. In the past, the general consensus was that paying for rank when rank could be achieved via optimization was cost prohibitive. Furthermore, many assumed only those sites with inferior content, that could not rank well in the organic listings, actually paid for rank. The tide has turned. Today, PPC advertising is highly regarded as an effective strategy. Online marketing research has revealed that search engine users are paying attention to, and clicking through PPC links with increasing frequency. Today, it’s all about Google. Google’s program called AdWords delivers targeted pay per click (PPC) ads via its own search engines and on a host of partner sites. Perhaps the most valuable information revealed by PPC research is the relationship between organic search engine listings and paid ads. Research shows that achieving a high rank in the organic results and PPC listings for same search string is an effective brand-building strategy. search engine users are comforted to see a listing/web site appear simultaneously in both the organic and PPC listings. It not only establishes credibility and brand awareness but also encourages click-throughs. Ready to get started? 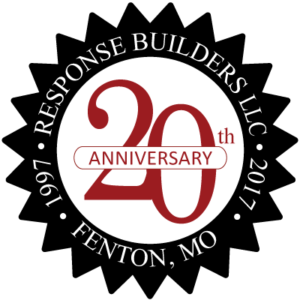 Contact Response Builders today for a free PPC project consultation.